Behind all the flashy reveals at this year’s Geneva Motor Show, there is some real concern over the future. With the death of diesel looming, automakers are scrambling to figure out how the hell else to build fuel-efficient cars. Volkwagen?? The company that created that diesel defeat device that kicked off this whole thing in the first place? This statement is especially weird when you remember that Volkswagen recently unveiled plans to invest $82.5 billion on electric cars. That kind of figure makes you think it’d abandon the whole idea of diesels, wouldn’t you? Personally, I don’t think anyone should be holding out for diesels. There’s been a cultural shift in the way we look at them and electric cars are just more favorable in that regard. There’s so much new tech coming out for electric cars and autonomous driving that it’s making my head spin. Not for certain investors, though. They seem to think that component suppliers and not the automakers will pull ahead first in this massive shift in technology. Reuters spoke to a few investors and they mentioned support for suppliers like Aptiv, Valeo and Continental more often than big companies like Daimler, VW or Peugeot. The outlet points out that this is a result of how component companies are accounting for a larger and larger part of a car as they get more complicated. EVs are still enormously costly and risky for automakers. Investing in them usually requires a “slash and burn” tactic: Moving funds from other aspects of the company toward the new tech. And even so, once a company manages to produce an electric car, it still won’t sell in high volume right off the bat. So there’s also that to deal with. Yesterday, news broke that Gary Cohn, Donald Trump’s top economy adviser is resigning. He is expected to leave in the coming weeks. People are concerned over this. Germany is concerned. Cohn was understood to be a “moderating voice in the White House,” according to Reuters. Germany seems to have hoped that he would be able to curb Trump’s talk of imposing huge tariffs on metals. Germany’s Economy Minister Brigitte Zypries told the outlet that Berlin will cooperate with whatever the other EU states decide to do, including responding in “an appropriate manner” if the U.S. introduced tariffs on aluminum and steel. “I hope Trump changes his mind,” Zypries said. The minister said she was convinced that trade ensured prosperity for all if it was based on mutual understanding. Last year, Kobe Steel, Japan’s third-largest steelmaker, admitted to falsely labeling products that it supplied to over 500 companies worldwide. On Monday, a proposed class-action lawsuit was filed in San Francisco federal court against Kobe Steel and Toyota, according to Reuters. It accuses the companies of violating consumer protection laws and also engaging in fraud by covering up the use of sub-standard metal in cars. In addition to the proposed suit in California, four other people in Canada have also proposed class-action lawsuits against Kobe and its associated subsidiaries. On top of that, the company is also going through a probe from the U.S. Justice Department. Wow! These probes and class-action lawsuits sound like just the tip of the iceberg, then. At the very end of last year, Cadillac’s global chief marketing officer Uwe Ellinghaus announced that he’d be leaving the company due to “personal reasons.” And it looks like his replacement has been found. Deborah Wahl will be the brand’s new global chief marketing officer, starting on March 26, the company announced in a press release. Wahl’s experience includes time with McDonald’s, PulteGroup, Chrysler, Lexus and Ford. It’s interesting that GM would choose to hire outside of its existing employees again. After all, Ellinghaus came to the company after working with Montblanc and BMW. But maybe a fresh perspective was what was needed. Wahl will be working out of the brand’s Manhattan offices. It’ll be interesting to see where she takes it. 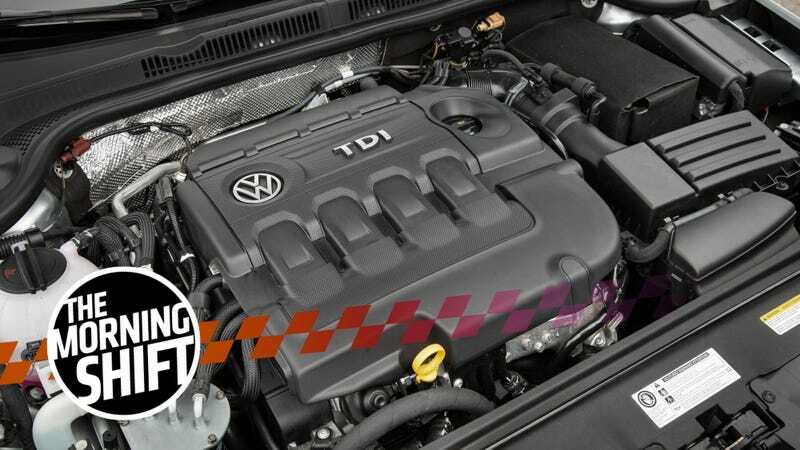 Neutral: Are You Holding Out For The Return Of Diesel? Do you think diesels are going to make a comeback?